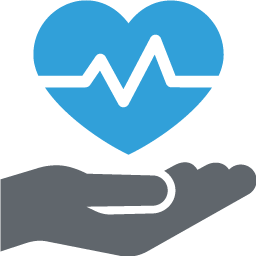 JHC’s mission is to make your healthplan work by tackling the stress and expense incurred when entering the healthcare system. We help you get the most out of your healthcare. Announcing Suite HR by JHC Benefits. We make Benefits and HR Management Simple. The perfect blend of technology, services and advice that make JHC different…and better. Todays health care challenges demand a modern solution. JHC delivers a renewal experience that extends beyond spreadsheets and binders. With JHC, you can eliminate paper-based processes with technology allowing on the spot modification of plan options face to face showing the impact of plan design and contribution changes immediately. Are you in compliance with the Affordable Care Act and all its reporting requirements? Not Sure? We can help. Whether you’re a student, self-employed or in between jobs, we offer coverage options that work for you (and your family). 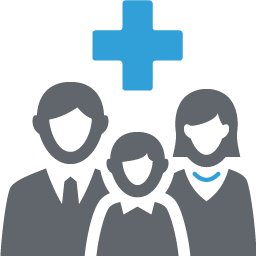 You need an employee benefits plan that fits your budget, meets your employees needs and keeps you in compliance. That’s where we come in. Managing HR within your business can be a daunting task. SuiteHR provides the technology and support you need to keep you in compliance. Health insurance issues don’t need to stress out your employees or bog down HR. We handle the difficult stuff for our clients’ employees. Are you confident you are in compliance? Not knowing can be the worst. Overcome ACA challenges with efficiency. Stay current on State and Federal compliance, regulatory issues and benefit laws affecting your business. Coastal Radiation Oncology Medical Group, Inc.
"Over the years, your company, with Myrna’s hard work, has saved me tens of thousands of dollars in medical expenses." “We feel JHC is well connected with the insurance carriers and health plan providers to quickly get authorizations and approvals through and really know how to work the system." of employees expect decision making tools during open enrollment. JHC’s decision support tools and open enrollment assistance will help you achieve your business needs and goals. of employees say selecting health plan is more complicated than solving a Rubik’s cube. extra health costs per year for each inactive employee. Communication is the most important part of any relationship. Let us help you engage and educate your employees by providing Health & Wellness plans, Benefits Guides and interactive open enrollment faire. as your trusted source for healthcare benefits.